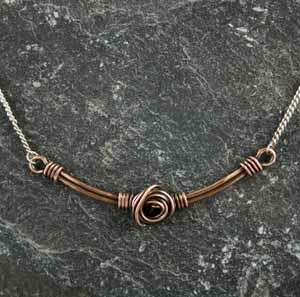 Bar necklace wrapped with copper wire in the style of a rosebud. The stationary section is 6.5cm long and is attached either side to silver chain. The length is 40cm and has an extra 5.5cm extension chain.